Located amid towering pines in a spot that overlooks Pine Lake, the Cabin, with its natural wood flooring and comfortable ambiance, is a special place. 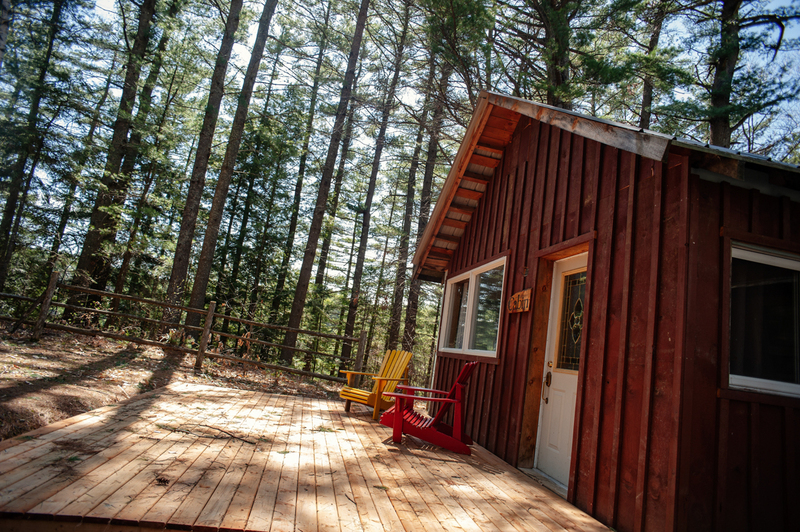 Separate from the other P&B R&R residences, the Cabin provides a tranquil get-a-way. Sitting on the deck you see only the woods and the lake below you. The Cabin has been newly renovated and includes a comfortable living room featuring an antique woodstove, a fully equipped kitchen and dinette, a small bedroom with double bed, and a cute bathroom with a ceramic shower. The couch in the living room opens to a very comfortable queen bed. The yard around the Cabin is fenced and a fire pit located in the front yard is a delight for evening campfires. Woodstove, Telephone for local calls, Fully equipped Kitchen, Microwave, Refrigerator, Charcoal BBQ, Camp Fire Pit, Lakeview. Waterfront. Short path to the beach.